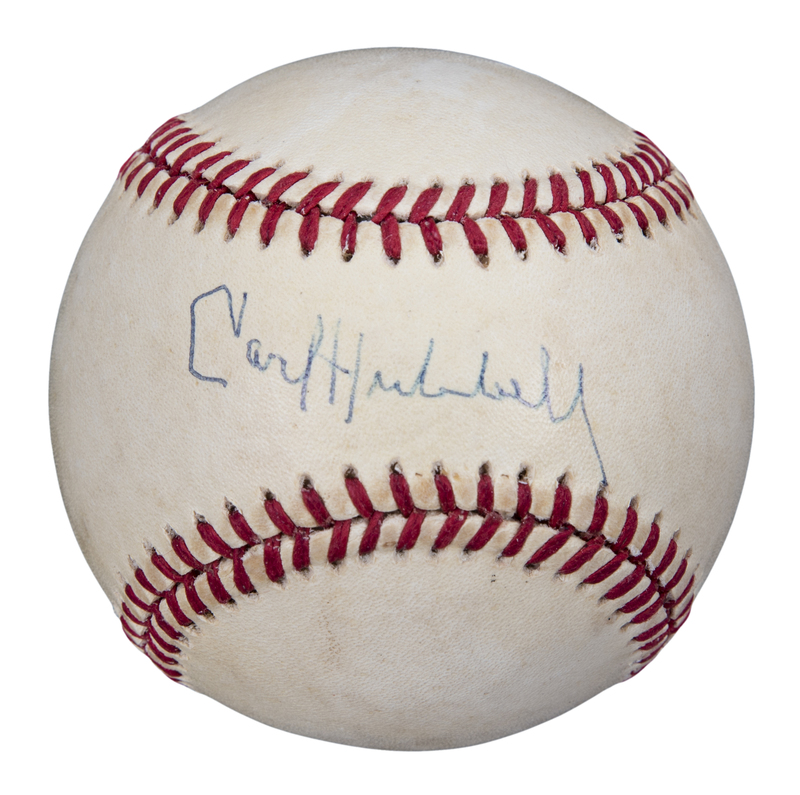 New York Giants ace Carl Hubbell has signed this Official National League Charles S. Feeney baseball. Hubbell pitched for the Giants from 1928 to 1943, winning 253 games and two National League MVP awards. Hubbell led the Giants to the 1933 World Series title while going 2-0 with a 0.00 ERA against the Washington Senators and allowing only three unearned runs in 20 innings. His 11-inning complete game victory against the Senators at Griffith Stadium in Game 4 was one of the greatest individual World Series performances in MLB history. Hubbell was inducted into the National Baseball Hall of Fame in 1947. He has signed the sweet spot of this baseball in blue pen. 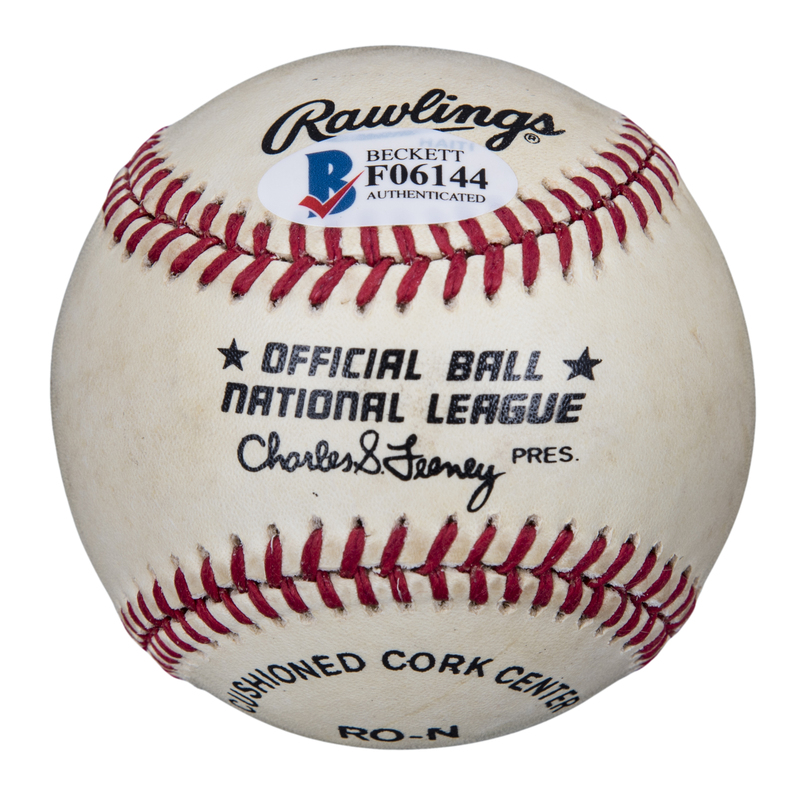 This baseball comes with a COA from Beckett Authentication Services (F06144).